Canine distemper virus (CDV) A species in the genus Morbillivirus. A natural infection of dogs, foxes, wolves, ferrets, weasels, raccoons and mink, with a worldwide distribution. Outbreaks of canine distemper have occurred in seals in Lake Baikal, Siberia in 1987 and the Caspian Sea in 2000. Exotic carnivores kept in zoos, such as red pandas, tigers, kinkajous and binturongs, are also susceptible. The infection is endemic in dogs and usually attacks the young, causing fever, nasal and ocular discharge and sometimes skin eruptions, after an incubation period of 4-5 days. The fever subsides to rise again, this time with vomiting, diarrhea and often pneumonia. The disease may be mild, especially in puppies, but signs of CNS involvement, particularly fits, may occur. The virus also causes hard-pad, and probably canine rhinotonsillitis. The disease is spread by airborne droplets and is highly infectious. The virus is antigenically closely related to Measles and Rinderpest viruses. The roughly spherical virion is 100-250nm in diameter. The helical nucleocapsid has a diameter of 15-18 nm. Buoyant density in CsCl: 1.20g/cm3. Lacks neuraminidase. Chick and guinea pig erythrocytes are agglutinated irregularly. Can be readily isolated by co-cultivation of lymphocytes from infected animals with mitogen-stimu-lated canine lymphocytes. One isolated distemper virus replicates in ferret, dog and monkey (Vero) cell cultures and can be adapted to eggs. Giant cell and cyto-plasmic inclusions are produced. Synonym: distemper virus. canine hepatitis virus Synonym for Canine adenovirus. canine herpesvirus Synonym for Canid herpesvirus 1.
canine laryngotracheitis virus Synonym for Canine adenovirus. Canine minute virus (CMV) A species in the genus Parvovirus. The dog is the only known host. Isolated from dog feces in the Walter-Reed canine cell line during the 1960s. Causes CPE in this cell line but not in primary canine kidney or thymus cell cultures, nor in cells of human, simian, porcine, bovine, feline or murine origin. Agglutinates rhesus monkey ery-throcytes at 5°C but not guinea pig, human, rat or pig erythrocytes. Antibodies are found in the blood of many dogs. Can cause reproductive disease (abortion and infertility) in dogs, and may be associated with some cases of canine enteritis. Antigenically distinct from H-1 virus, latent rat virus and minute virus of mice. See also Canine parvovirus. species in the genus Papillomavirus. A natural infection of dogs worldwide, causing papillomas on the lips, which spread inside the mouth. Has been detected in feral coyotes. Does not infect mice, hamsters or guinea pigs experimentally. canine papillomavirus A probable species in the genus Papillomavirus. A natural infection of dogs causing skin papilloma. Probably distinct from Canine oral papillo-mavirus. Canine parvovirus (CPV) A species in the genus Parvovirus, closely related to Feline panleukopenia virus, Mink enteritis virus and Raccoon parvovirus, differing less than 2% by sequence analysis of the single-stranded DNA genome (5124 nucleotides in length). Canine parvovirus type 2 (CPV-2) was first isolated or described in 1978. Serological studies indicated that CPV-2 was a new virus of dogs, as anti-CPV-2 antibodies could only be demonstrated in dog sera collected after mid-1976. Termed CPV-2 to distinguish it from the previously described, but unrelated, Canine minute virus (CMV). The name CPV-2 is no longer used. CPV is over 98% identical in sequence to Feline panleukopenia virus and it appears that the feline virus acquired a new host range in canines as a result of only two amino acid changes in the capsid protein VP2. These minimal changes allowed CPV to replicate systemically in dogs and to be shed from the intestine. Within one year of its recognition, CPV had spread from its probable origin in Europe globally to Australia, New Zealand, Japan and the USA. Subsequently, minor variants (0.2% nucleotide sequence changes) appeared in 1981, 1984 and 1990, and in each case these also spread globally. All types of domestic and wild dogs as well as cats are susceptible to infection. After oronasal infection the virus replicates in the tonsils and lymph nodes. By 4-6 days the virus spreads to the intestine, causing enteritis by destruction of regenerating intestinal epithelial cells. A diffuse myocarditis is occasionally seen in puppies. 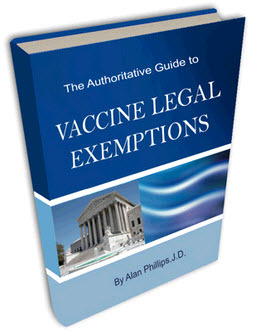 Both inactivated and live attenuated vaccines are available. canine rhinotonsillitis A disease closely related to distemper. canine tracheobronchitis virus Synonym for Canid herpesvirus 1.
botomine sandflies in the Amazon region of Brazil. Antigenically related to the Changuinola virus group. Not reported to cause disease in humans. Caño Delgadito virus (CADV) A species in the genus Hantavirus. Isolated from the cotton rat, Sigmodon alstoni, in Venezuela in 1995. Disease potential unknown. Cantagalo virus A strain of Vaccinia virus in the genus Orthopoxvirus, isolated in 1999 from lesion samples taken during episodes of exanthem affecting dairy cattle and human milkers in Cantagalo county, state of Rio de Janeiro, Brazil. Sequence analysis suggests that it is a derivative of Vaccinia virus which has persisted some 20 years after smallpox vaccination ceased in Brazil. cap The modified 5' end of eukaryotic and most viral mRNAs. See capped terminus. cap-binding protein Any of the proteins that specifically recognize the capped terminus of mRNA. Promote unwinding of the ribosome binding site in regulation of mRNA translation. Cape Wrath virus (CWV) A serotype of Great Island virus in the genus Orbivirus, belonging to the Kemerovo serogroup. Isolated from a female tick, Ixodes uriae, found under rocks at Cape Wrath, Scotland. Not reported to cause disease in humans. Capim virus (CAPV) A species in the genus Bunyavirus. A member of the Capim serogroup. Isolated from a rodent, Proechmys guyannensis oris, opossums, Caluromys philander, and mosquitoes of Culex sp in Para, Brazil. No association with disease in humans reported. Picornaviridae, do not have capped termini on their mRNA molecules and instead there is a genome-linked protein (VPg) covalently linked to the 5' terminus. Viruses which have a virion transcriptase responsible for mRNA synthesis may contain a virion enzyme function which caps the mRNA, or an endonuclease which cleaves short-capped oligonucleotides from host cell mRNA and uses these to prime viral mRNA synthesis. Influenza virus uses such a mechanism, referred to as 'cap stealing'.